Fascias are a feature of every home, providing an attractive way to keep your roof space protected from animals, such as birds and rodents, and the elements. If you have an older property your existing fascias may have been constructed using timber, which over time will succumb to damage and rot. This can lead to further damages to your property as the damp can extend through your rafters. Our fascias and soffits team have extensive experience in the installation and maintenance of fascias and soffits to a number of different properties. So if you’re looking to replace, repair or invest in new fascias or soffits, our team are here to help. Our extensive experience combined with competitive yet affordable prices guarantee that you won’t be disappointed with the work we do. 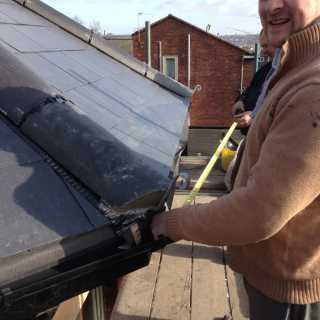 Our team will arrive on site promptly and work efficiently to install your new fascias without delay. Like fascias, soffits provide an attractive and effective means to protect your roof space. A soffit fits beneath the eaves of your roof to keep out anything the elements may throw at it. This also serves to protect the walls of your property as rain water cannot penetrate. 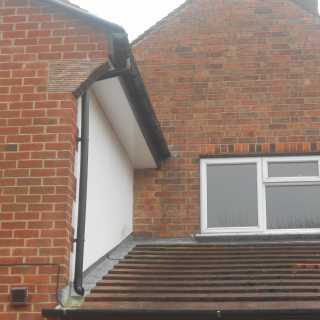 Soffits, combined with fascias, are an excellent means of protecting your roof space. 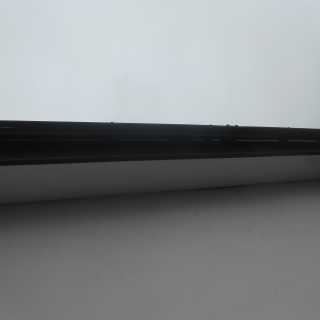 They will keep your roof dry and protected from the weather whilst allowing your roof space to breath and expel any moisture by means of ventilation holes. 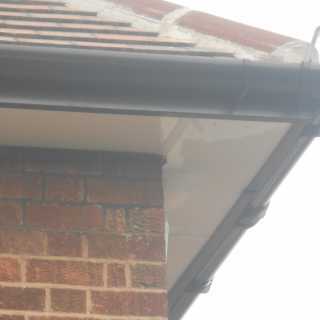 The B &S Team are able to repair, replace or add new soffits to your property. Our years of experience equip us to deliver a timely service, and all our work is fully guaranteed. We only use uPVC fascias and soffits here at B&S Roofing, meaning that your fascias and soffits will be transformed into attractive, low maintenance and long lasting product that will continue to provide your home with reliable protection for many years to come.